Live where you play! 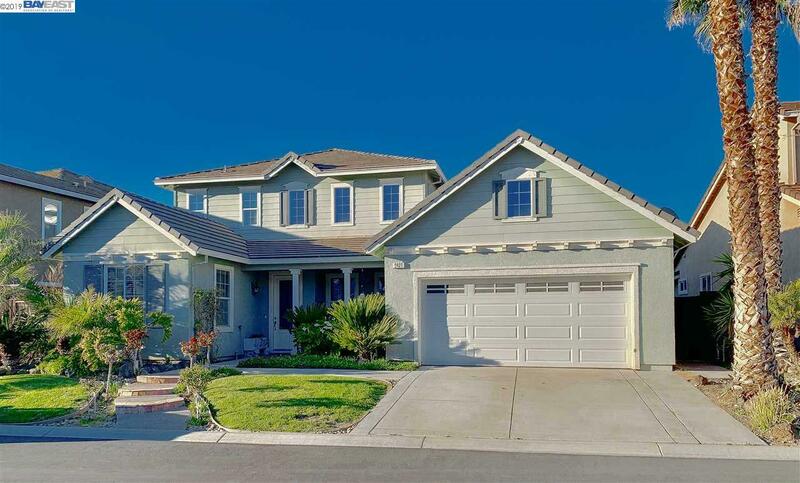 This gorgeous, classy Discovery Bay home is located in the desirable, "Lakeshore" gated community. This property features an open, spacious floor plan with high vaulted ceilings and wall to wall windows to allow tons of natural sunlight. This 3000+ square ft. home has 4 large bedrooms, that includes both the master and 2nd bedroom on the first floor. Crown molding in the formal dinning with a customized, quality crafted wine cellar. A beautiful Gas burning fireplace to enjoy in your family room. Huge Bonus loft and 3 car tandem garage. Low maintenance backyard with built in gazebo and beautiful waterfall fixtures to stay! The Lakeshore community amenities features a swimming pool, spa, gated security and playground. Your dream home awaits you!